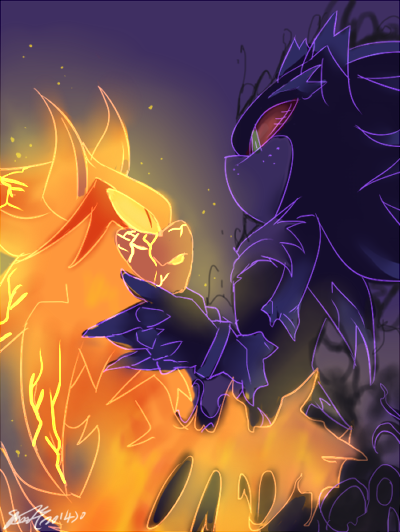 I really like your version of Iblis. but aren't they really just the same person? 030? wouldn't that make it selfcest or something? Yes, there needs to be ALL the pron of it! Beautiful, I love the contrast between light & dark colours!